There were even elephants at one point, but then they realised that ivory was worth a fair bit. Fortunately, they now have a one century supply of pianos. 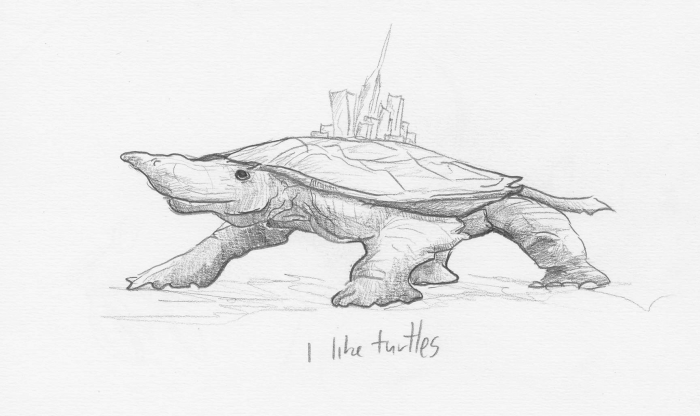 This entry was posted in Scanned Desksketch and tagged turtle by Anthony. Bookmark the permalink.